What Makes Tennessee's Music So Very Special? 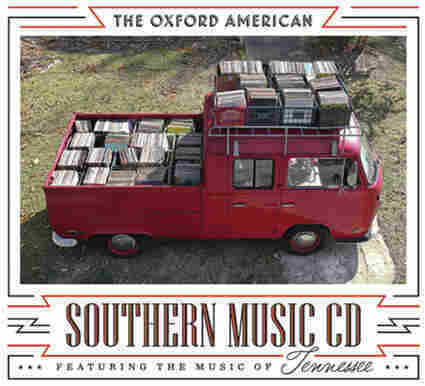 Oxford American magazine has a few answers, not to mention one killer Tennessee mixtape. NPR's Scott Simon speaks with editor Roger Hodge and music editor Rick Clark about assembling the magazine's new issue on the music of Tennessee and its companion two-CD sampler. What Makes Tennessee's Music So Very Special? 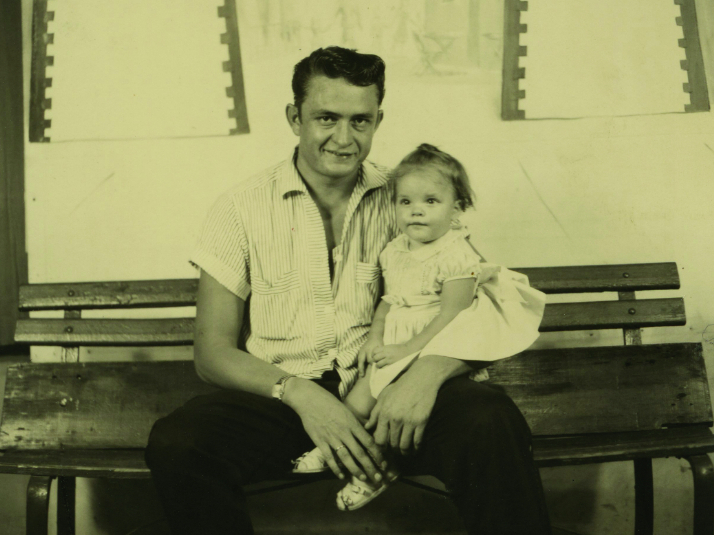 Rosanne Cash, seen here in 1956 with her dad Johnny, is one of many musicians featured in Oxford American magazine's winter issue on the music of Tennessee. From blues to funk, to country and rock, Tennessee is the place that's given voice to the likes of Bessie Smith, Johnny Cash, Dolly Parton, Elvis Presley, Isaac Hayes, Chet Atkins, and many, many more. This winter, the quarterly magazine Oxford American has devoted its annual "Southern Music Issue" to the music of the Volunteer State. "It was just a matter of time before we tackled Tennessee, and we thought it was the right time," says Roger Hodge, the magazine's editor. "It's, in some ways, the big one. It's where all of American music comes together." Rick Clark, the music editor of Oxford American, compiled a two-CD sampler to be packaged with the magazine, along with copious liner notes. The tracklist contains a few usual suspects and a lot of surprises. There's a stunning track by The Prisonaires, a doo-wop group that formed while the members were serving time in a state penitentiary. "My Tennessee Mountain Home" might have been the natural choice for Dolly Parton; instead, her contribution is a cover of "Travelin' Prayer," penned by the decidedly un-Southern Billy Joel. "Part of the narrative that we were developing for this music issue was the journey, the coming home to Tennessee," Rick Clark explains. "You know, 'That's How I Got to Memphis,' 'The Long Way Home,' 'Travelin' Prayer.' Also, the idea that is really celebrated in Nashville is, a great song is a great song. And Dolly Parton is the kind of person, in my book, who just spots those great songs — she's a great songwriter, but she also knows how to inhabit anything she wants to tackle." Roger Hodge and Rick Clark spoke with NPR's Scott Simon about assembling the Tennessee music issue, which also includes an autobiographical essay by Rosanne Cash and an account of the daring Memphis radio station that, in the late 1940s, became the first to be programmed exclusively for African-Americans. Hear more of their conversation at the audio link.